If you are planning on taking your Wrangler JL on some of the higher angled trails you might do some damage to your factory exhaust. Flowmaster has developed an axle back system that replaces your factory transverse muffler with a high tucked tailpipe giving you the clearance you need for your off road adventures. Not only will you gain added clearance but you will also get such an impressive sound they had to call it American Thunder. 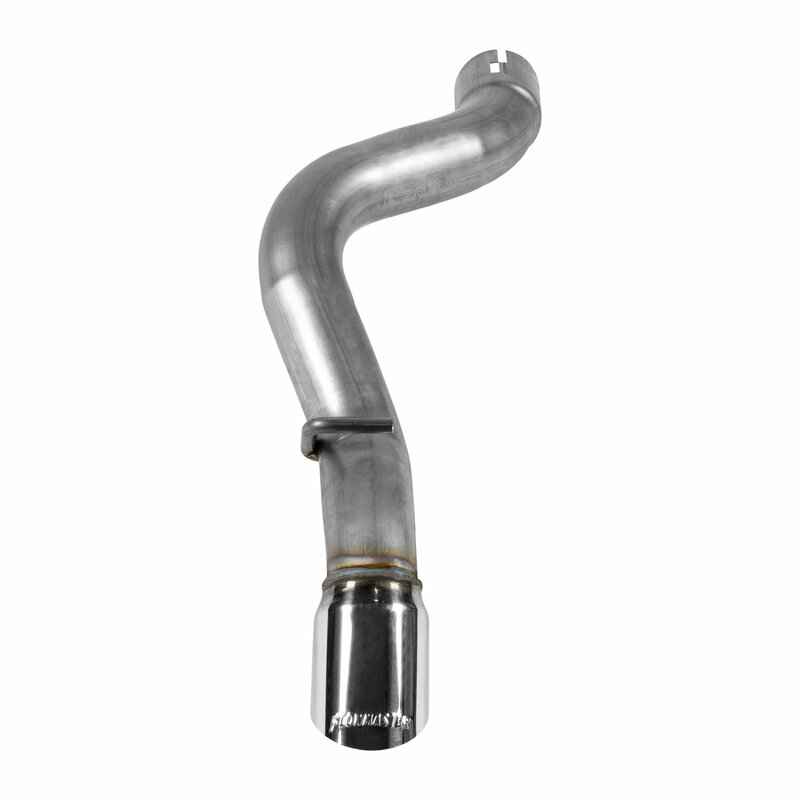 This 2.5" axle back system is made of mandrel bent 409S stainless steel to increase exhaust flow & help prevent corrosion giving you an exhaust system that will withstand the outdoors plus sound great also. An aftermarket bumper is recommended for this axle back system because of how high the tailpipe is tucked. 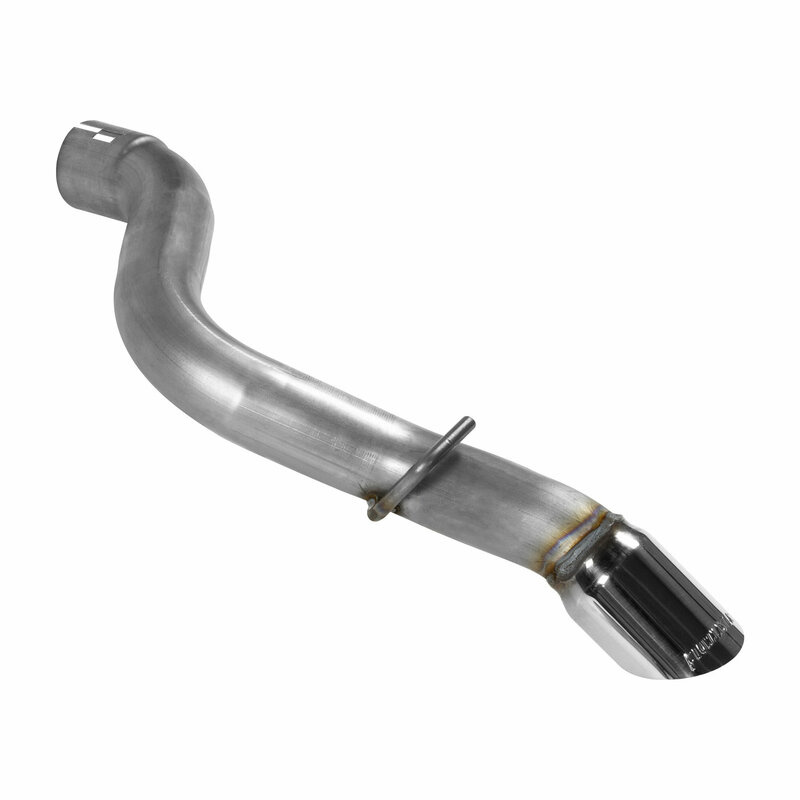 T-409 Stainless Steel: Built to resist high temperature corrosion this exhaust will withstand everything from rust to grim ensuring your exhaust will hold up keeping your Jeep sounding great and looking good for years to come. Full Mandrel Bent Pipe: Is a process that allows the pipe to bend without creases or folds while preventing your exhaust tube flattening allowing for more of a free flowing exhaust. 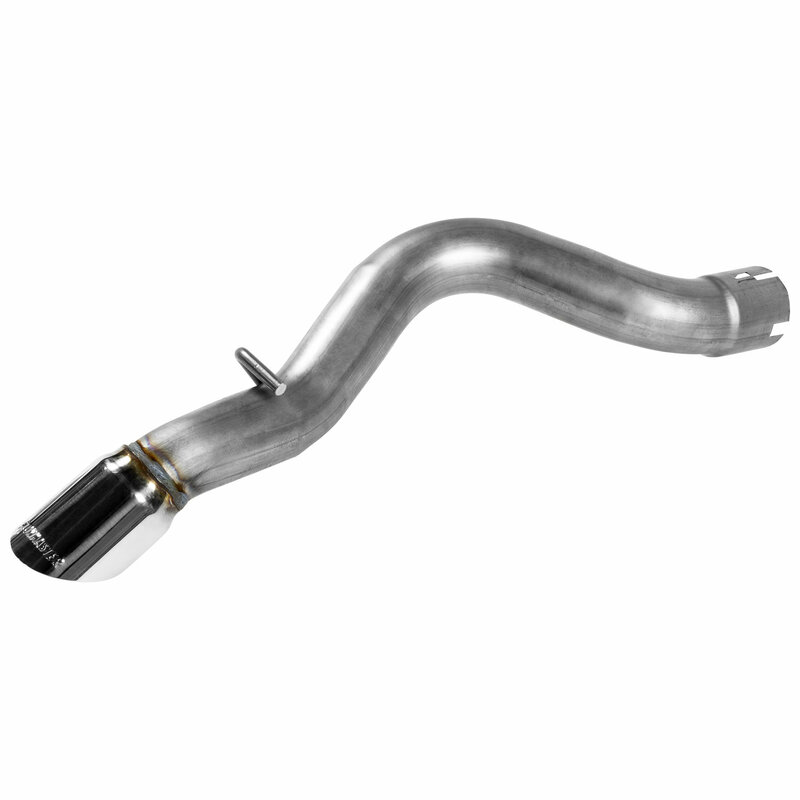 Performance & Sound: Enjoy a boost in horsepower as a result from the better exhaust flow plus a head turning moderate to aggressive sound that comes out of the 3" polished stainless steel tip. Installation: This kit comes with everything you need for installation while using some of the factory hardware also. I installed this on my JL with relatively very low mileage. The stock muffler was very easy to take off. This axle back kit was pretty simple to install. My only complaint is that the inlet of this pipe wasn't opened up large enough to fit over the stock exhaust pipe. I had to hit it with a hammer a bit to widen the opening some, then it slide right over it with no problem. Total install time was about 1.25 hours. Thanks to the removable hanger flanges, Jeep made this process so much easier in the JL than it was in the JK. Now lets talk about the sound, I think it's great! It's subtle around town if you stay under 3,000 rpms. However, if you get the on the gas hard or go over 3,000 rpms the sounds begins to get more moderate to slight aggressive. I haven't noticed any drone on the highway. This is one of the best bangs for the buck in terms of exhaust options for the Jeep JL.